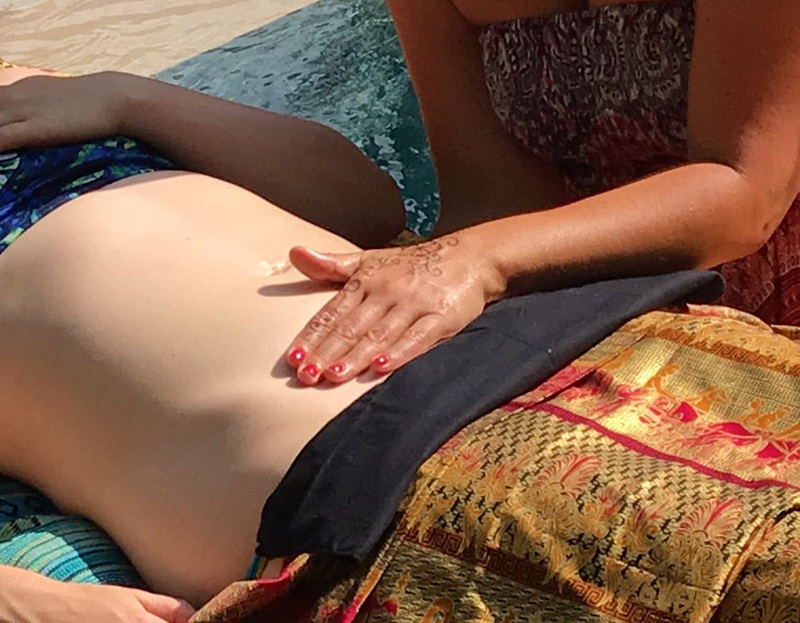 What is Womb Massage Therapy? “So much more than a massage”! A nourishing blend of modalities: massage, pulsing, trigger point therapy, acupressure, reflexology, rebozo, energy work & visualisation. When combined, they work synergistically creating a treatment that encourages you to reconnect with your body, your womb and your heart. This heart~womb connection is important for ALL women. Many of us can experience disconnection from this scared place. There can be many reasons for this ~ contributory factors may be from years of taking the contraceptive pill and hence a disconnect from our menstrual cycles; our first bleed ~ menarche, may have been experienced as anything less than positive. Or we experienced birth trauma, or painful bleeds & we were told “that’s just how it is”. Understanding our needs at this time of transition can be key to a happier & more fulfilling life. Riding the waves rather than drowning in a sea of uncertainty about these fast changes we see in our bodies & our yonis. WMT is a non-invasive, gentle & yet deep massage covering the upper & lower abdomen, from the diaphragm to just above the pubic bone and the upper &amp; lower back and glutes. We work over the conception vessel (Ren), the Mother Line, the lower chakras, & around the pelvic bowl. We sink in deeply, with respect & honouring, we support, we hold, we nurture, we nourish, we witness, and when tears flow you are given the space to let go into your vulnerability, knowing there is no judgement and that you will be held. The essence of this work is to nurture and nourish, with deep levels of relaxation. Treatments end with wrapping of the head, pelvis & feet with Rebozo scarves. The experience has described as “a coming home”, “transformational”. This feels as though it brings you back into Self, back into Body, Back into Soul, a Restoration of the Soul. In all these cases, emotional support is central to this work. Benefits may include a more regulated cycle, & reduction in associated menopausal symptoms. The digestive system is stimulated meaning an improved elimination & detoxification. The liver (the organ which clears out excess oestrogen) is supported. As most of the immune system cells are in the digestive tract, it seems likely that immune system response is improved/regulated. Regular castor oil packs, self-massage & yoni steaming continue to support this process as a self-care practise. Stress level/nervous system responses are calmed & reset. Other benefits are improved circulation. You may also feel more at one with yourself and better equipped to meet these challenging times.